The UFC’s December 17 trip to Sacramento, California is starting to take shape. 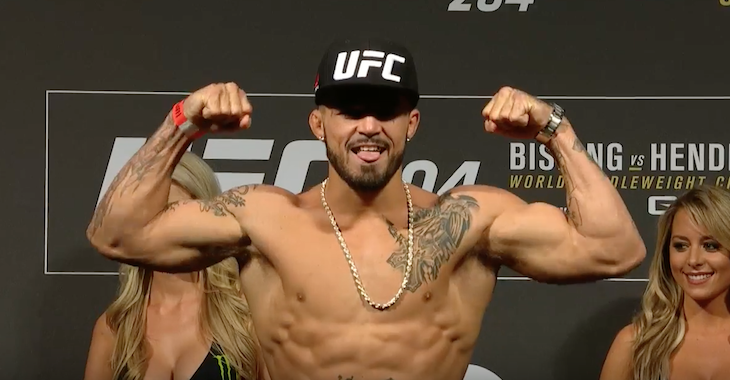 Just days after the announcement of its compelling Paige VanZant vs. Michelle Waterson main event, the card’s lineup has gotten even sweeter with the addition of an awesome welterweight scrap. 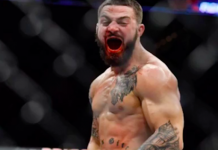 Earlier this morning, reports surfaced that Mike Perry would be taking on Matt Brown at UFC 207. 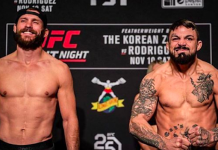 As it turns out, however, Perry’s next fight will actually see him take on fellow welterweight prospect Alan Jouban on this Sacramento card. Given the pair’s shared propensity for violence, this one is almost guaranteed to result in fireworks. 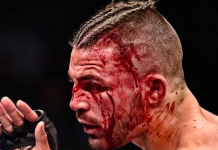 This bout was confirmed by Ariel Helwani on Monday’s episode of The MMA Hour. 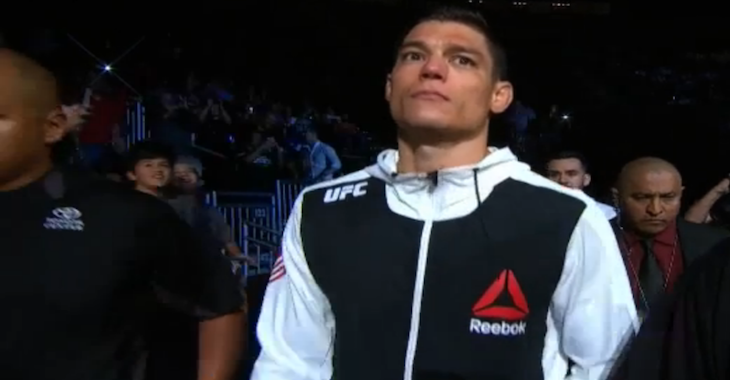 Jouban, who moonlights as a model, will enter the bout having recently edged the debuting Belal Muhammed in a wild welterweight battle in July. Prior to that win, he TKO’d Brendan O’Reilly in March. The Louisiana native is 5-2 in his first 7 fights on the sport’s biggest stage. 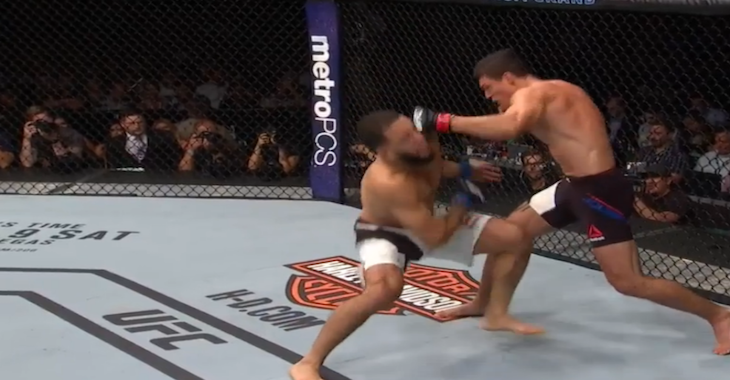 Perry, meanwhile, has dazzled in his first two fights with the UFC. In his first, he levelled South Korean slugger Hyun Gyu Lim for a first round TKO win. 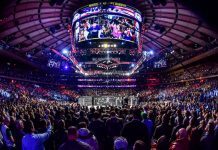 In his second bout with the organization, he slugged it out with England’s Danny Roberts for two and a half rounds, before sealing the deal with a thunderous, third-round knockout. The talented prospect has finished all 9 of his professional bouts by knockout. 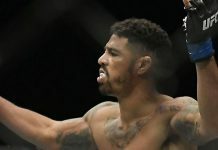 In addition to VanZant vs. Waterson and Jouban vs. Perry, the UFC’s trip to sunny Sacramento will also feature a welterweight clash between rising stars Sage Northcutt and Mickey Gall, both of whom were discovered on Dana White’s Lookin’ for a Fight. 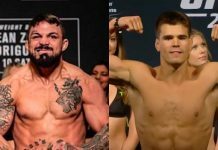 Who do you think wins this newly announced Alan Jouban vs. Mike Perry bout? Sound off in the comments, PENN nation!